Recently I had visited the Leshan Buddha and realised how much Buddhism impacted China, so I have decided to do an article on it, partly due to my visit and the now fading euphoria and partly, because recently I had been criticised by a close and dear friend, that claimed my articles are ‘not really’, history but an info dump… This hurt my pride quite a bit, but, in their defence, they did bring up some good points, so rather than the usual ‘dump’ I have decided, instead of trying to get the dear reader of this article to ponder and investigate the subject (if it piqued their interest) I’m going ‘old school’ be warned this will surpass my usual 1000 word limit but I hope it is an enjoyable and informative read. China in the modern day is the biggest Buddhist country in the world with an immense 144 million Buddhists, this is in part due to the immensity of the country which takes up, at least its population, as much as North and South America, all of Western Europe, New Zealand and Australia combined, this is roughly 20% of the world’s population. It is no surprise when you see figures like this that they are the world’s biggest Buddhist population but where did it stem from? How did this come to be? And how did it spread so far? Well, in this article I plan to cover these questions. This being the case, is it right to call confucianism a religion? The answer to this is a little difficult as the actual philosophy of Confucius clearly does not aim at some Gods or spirits it is solely focused on society. In an ancient world where religion is ‘core’ to society Confucius had built on an ancient religious foundation to highlight the social values in a strangely philosophical and non-religious way. Confucius refers to things such as the role of priests being teachers/guides/messengers, and places this role in that of ‘actual’ teachers, parents and officials, not a divine vessel or speaker for the spirits. Institutes of Confucianism were not separate churches but were the bodies of people or places such as the state, school and families. This rise and acceptance of the Confucian philosophy stems from the questioning of why things like upheavals, famines, constant instability of society etc. couldn’t be controlled by the spirits, surely divine beings had this power. Confucius therefore, not so much, renounced, religion as much as came to believe that it was statecraft and law, that would provide stability, prosperity and better life. Confucius also believed ‘rituals’ were not sacrifices to gods in return for blessings but ceremonies played out by humans in such things as, courtesies and standards of behaviour, only when a society adheres to these ‘rituals’ and ‘beliefs’ can there truly be unity, stability and social order. Thus Confucianism is not so much a religion as it is a philosophy that used religion as a foundation. Confucianism was slow to be accepted into the social frame of government and did not become a state religion/philosophy until around 140-87 B.C. arguably this was due to the still ongoing fighting within ancient China but once a peace had finally truly come about, maintaining this status quo became paramount. In Confucian philosophy people were given ‘set’ roles and accepting those would bring complete stability, so if you were a farmer you stayed a farmer, a soldier, you stayed a soldier, this clearly is a very restrictive philosophy but after peace had arrived in full, logically if every person accepted their place in society there would be no upheavals, rebellions, greed or jealousy. Confucian philosophy also focuses largely on filial piety, respect your parent, respect society and of course respect the emperor, this mind set went hand in hand with loyalty to the state and was, of course, supported fully by the established and the emperors. This was a very conservative philosophy and protected the long-standing, established institutions as well as the social divides that were thought of as the ‘natural’ way of civilisation. It is known to all, that royal ‘families’ of the past have this insatiable desire to kill each other, within and without their direct familial bonds, royal families always waged war against each other and many went to war within their own families, this is an unfortunate fact… That also relates to men who hold station and want to further their influence and achieve their ambitions. In the decline and eventual collapse of Confucius as a state religion/philosophy the latter is the major cause as we will come to see. The establishment of the Kingdom was like any other ancient feudal system, there was one ‘true’ king and other ‘minor’ kings who paid tribute to their ruler, or in China’s case, Emperor. These minor kings could run their lands however they wished, so long as the tributes kept coming but this idea opens the door to ambition, in which many of the minor kings would aim for the higher echelons of power. Uprisings and rebellions would plague the lands but many were usually dispatched easily enough, except one major uprising ‘The rebellion of the 7 states’ even though the Han had won this battle the cost was high and a new policy was implemented to limit the power of the vassal kings in 145 B.C., the policy stripped the vassal kings of the right to employ their own staff as this would now come under Imperial court responsibility. This became the optimal chance to completely solidify China under Han rule as many of the prominent figures in the minor ‘kingdoms’ would be replaced with Han relatives, this ensured loyalty as others families could not be trusted. During this period of, almost complete peace, trade between towns and provinces prospered, trading silks, wines and food but there was one area that had recently been conquered and unified by the tribal power of Modu Chanyu, these tribes inhabited most of the Eastern Eurasian Steppes and before his passing Modu Chanyu had unified over twenty Samarkand states. This power was known as the Xiongnu, the Xiongnu were an extremely effective and powerful nomadic tribe, mostly comprised of herdsmen and hunters, they are also debated to be relatives of the Hun, like many of the nomadic tribes of China they were well versed in the ways of war and guerilla tactics and would regularly raid trade routes and villages for spoils. Unlike their civilised brethren they were also accustomed to rough living and inferior in most, but their aspects of the Imperial part of China, militarily speaking they were also inferior but their real skill and the danger to Imperial forces was in their mastery of the bow and doing so whilst horseback riding. This skill was never used in the Imperial armies as they mostly comprised of infantry, and what cavalry they did have was still age old in that it would be used as a charge or flanking force instead. Emperor Gaozu was eventually forced to learn, first hand how tough these enemies were to fight. In a mass attempt to destroy the Xiongnu, Gaozu gathered approximately 300,000 soldiers to battle with the Xiongnu but midway through the march the weather became cold and many of his troops fell to frostbite and many of his cavalry falling into ambushes due to the effective use of feint attacks by the Xiongnu. Eventually the emperor had more or less been defeated and surrounded by the chieftain Modo Chunyu himself, knowing he had lost, the emperor offered Modo regular tributes and a Princess to be his wife, hoping this would corrupt the Xiongnu in the long run and make them placid and easier prey for the more ‘civilised’ Imperial army. This idea was extremely overrated by the court as Modo was not lacking in as much intellect as they thought, Modo did agree to the deal, but knowing that he could gain more through raiding and forcing a better offer from the court, he was not about to honor the deal like true ‘gentlemen’ do, and so the raiding still continued and the Xiongnu were still as powerful, if not more than they were before the deal. It was not until Emperor Wu the great-grandson of Gaozu that successful battles against the Xiongnu had taken place. Emperor Wu was an intriguing Emperor, he was on the throne at the age of 15, in his earlier years his reign was mostly controlled by his mother the Empress Dowager (birth name Wang Zhi) who had risen from common stock to her position after tactful marriages of here 3 daughters and winning the eye of the, then Emperor Jing. Emperor Wu was also a bisexual and had two male lovers, one who was killed by his mother over his protests and the other had taken his own life in jealousy, these things and the general atmosphere of China at the time, with a consistent sense of insecurity had mentally affected the young Emperor, his paranoia saw him kill seven of his chancellors and several of his children and wives in fear that they were plotting against him. Though his paranoia left his actions, questionable, his anxiety led him to focus largely on securing his realm, as well as himself, this meant that possible threats like those of the Xiongnu had to be stamped out or brought to heel. Emperor Wu, unlike his predecessor was a believer in the Confucian philosophy and had made it a State religion, this was the era in which Confucianism reached its peak and gained full backing from the Imperial court, even though it was now a state religion, it would be tested to its fullest. In the beginning of the Confucian establishment of becoming a state religion it was amidst the soon to follow troubles that will come to plague the Imperial country of China. The troubles with the nomadic raids and constant tributary offerings still remained. These events would signal an eventual collapse of all that was right and the eventual collapse of Confucius as the main religion in China. The Emperor was as wise as he was paranoid and he knew that to defeat these incredible tribesman, he would first need the horses to match theirs, in speed and stamina, one of his first actions in his war on the Xiongnu was to build numerous horse-breeding stations on the frontier, he also sent out large expeditions to gain more mounts for his upcoming war, this still was not enough and so Wu also made alliances and hired many of the Xiongnu’s tribal neighbors, who were also skilled in the presumably alien art of horseback archery. These acquisitions had made his army even more powerful, he also increased his cavalry from nearly non-existent to one large and formidable force. This army was much like what the Roman armies had done when they were warring against the Gaulish Celtic tribes, using barbarians to subdue barbarians and integrating enemy techniques and skills into their own. 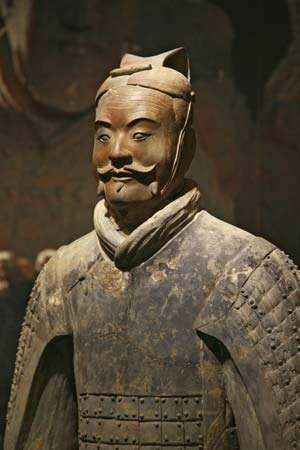 Only now was Wu, who was now known as the ‘Martial Emperor’, ready to war with the Xiongnu and in 129 B.C. his armies headed into the Xiongnu lands. The imperial army had won many victories and slaughtered immense numbers of nomads, but it was still not enough to finish them off, the Xiongnu were resilient, resourceful and difficult to pin down this was largely due to their guerilla tactics. Though there were numerous victories against the Xiongnu it was extremely costly, Sima Qian, who wrote of these battles nearly a century later, wrote that a single expedition against the Xiongnu would cost the Emperor more than half his annual revenue, which, in turn affected the peasants immensely, so much so that they got creative in their ability to avoid paying taxes. After numerous successes the emperor would suffer major defeats and eventually, Emperor Wu’s health failed him and he had died. After the death of Wu the Imperial court would no longer partake in large expeditions against the Xiongnu and, though there were some very minute successes against the Xiongnu they reversed back to paying tribute for peace. During this subsequent peace China had began to fully explore their lands, though there was always some sort of trade route, which was an essential route for the funding of Emperor Wu’s war efforts as well as state running it was never fully utilised. Emperor Wu had always had an interest in expanding beyond the borders of his lands and trading internationally with China’s neighbors the Ferghana, Bactrians and the Parthian Empire. The “defeat” of the Xiongnu allowed the Chinese army to strengthen Central China which allowed the deployment of emissaries. Trade was not an unusual procedure, it had been well established before the Han Dynasty, but the defeat of the Xiongnu highlighted the benefits of trading with the western powers, especially considering many of the horses that helped lead to the defeat of the Xiongnu were bred from the larger faster Western horse. Officially opening the Silkroad for trade with the West helped to largely develop Chinese towns and villages, these trade routes were not just a trade of goods and resources but also cultural exchanges. Merchants would travel back and forth constantly, Rome in particular had an immense love for Chinese silk and traded often with China, in return China would receive all manner of goods from horses and slaves to drugs and dyes, with so many merchants travelling back and for from various locations (including places as far as Britain, Italy and Japan) in the world waystations and small settlements were established for weary merchants to rest. Eventually these areas became homes and seeds of different religions would be planted. Though those seeds would not sprout for a century more. The Han Dynasty had enjoyed its position as the only ruler of China for a just over 400 years, though not an entirely peaceful rule, it was comfortable, it’s military power had grown, the authority of the Emperor had spread and trade with the West was largely a lucrative one. As complacency and peace had grown within Imperial China ambitions had grown, in the agrarian areas of China, usually victims of raids, banditry and heavy levies had become a hotspot for revolts and attempted uprisings. At this time, now, an aged Emperor, Emperor Ling was close to his death which many of his advisors had taken note of, of course the Emperor was to old to put down all the separate revolts with just his imperial army and so was unable to “firmly” rule his country, this became an opportunity for his council. His closest advisor Liu Yan had spoken to Emperor Ling about granting powers to his ‘Inspectors’ (officials of their specific areas) to recruit and manage their own lands and borders, of course this meant the crown would have to rely on the loyalty of his ‘Inspectors’ to rule their lands on his behalf, ultimately the Emperor agreed to this idea and changed the ‘Inspectors’ titles to that of ‘Governors’. One of the more persistent and popular groups of revolters were the group known as the Yellow Turbans. The Yellow Turbans were known as such, for the yellow bandanas and scarves they wore upon their heads. Though the Yellow Turbans were persistent they never gained any real power until 184 A.D. The motivations for the Yellow Turbans was religious, they were a secret Taoist Sect and the beliefs were spread by the Zhang brothers. The leader of the Yellow Turbans was Zhang Jiu (also known as Zhang Jiao), Zhang and his brothers Zhang Bao and Zhang Liang were healers and would spread the belief of their Taoist belief by passing word of it onto their patients who were mostly peasants. The spreading of the Yellow Turban teachings was extremely successful, which was reinforced by some backing of 2 of the court Eunuchs, a loyal follower of the Yellow Turbans “Way of Peace” Ma Yuanyi was a well established man who would travel quite frequently to the capital Luo Yang, he was the contact that the Yellow Turbans used to work with the Eunuchs, until he was betrayed by one of his companions, Tang Zhou, Tang Zhou had reported his plotting to the Imperial court. The betrayal happened at a crucial time for the Yellow Turbans, as they were planning their major uprising, but once Tang Zhou had reported this to the Emperor, the Yellow Turbans had to begin their uprising sooner than they had planned. The uprising had a large impact, with 360,000 followers rising up in different areas, the had gained some very early successes, this lead to the “Yellow Turban Rebellion” as it is known, and used as the opening of the historical novel “Romance of the Three Kingdoms” many of the Yellow Turbans were peasants overburdened and hungry due to the local levies. This is arguably the major event that had led to the complete collapse of the Han Dynasty and the rise of different religious beliefs and philosophies are a representation of the decline in the Confucian philosophy. The Yellow Turban Rebellion was officially suppressed in 185 A.D., though there were some pocket attempts to rise again, but they never really gained as big of a following as previously to become a problem, most importantly many of the warlords that had taken part in the suppression had now established themselves and ambitions had begun to rise in each. In 189 A.D. Emperor Ling had died living in his place his 13 year old son Emperor Shao to ascend the throne. The control of the throne was a contested one between, two major factions vying for power at this time was He Jin and the Eunuchs. Hen Jin was half brother of Empress He, Shao’s mother, the two had the power of joint regency and effectively controlled the country. The Eunuchs were a group of 12 people who all held influence and power in the courts of the Emperor, many of which would accept bribes and tributes from other officials, these Eunuchs massive networks which they exploited to retain their political powers and support. He Jin and Empress He had became a threat to the Eunuchs power and in 189 A.D. 22nd September the Eunuchs had He Jin assassinated, in retaliation He Jin’s army had slaughtered the Eunuchs, these incidents had completely destabilized the central power. During the subsequent vacuum of the central powers an ambitious and opportunistic Dong Zhuo had taken control of the the emperor who at the time was captured by the Eunuchs and held prisoner, Dong Zhuo was summoned by He Jin before his assassination and after the death of He Jin they had retreated from the capital where they were intercepted by Dong Zhuo and defeated. Dong Zhuo at this time returned to the capital and became the commander of He Jin’s army after Dong Zhuo’s successes he enacted ploy and plot one after the other to gain a strong central power of which he was in charge, with the aid of the most powerful warrior in China, his now adopted son Lu Bu, many did not challenge him. A year after He Jin’s death, in 190 A.D. Dong Zhuo replaced the Emperor Shao with his younger, more malleable brother Liu Xiu. Many of the ploys enacted by Dong Zhuo were an unacceptable act by the standards of Confucian belief of which many of the gentry were still followers. Dong Zhuo had attained immense power and lavished himself with wine, food and women, with little care for the state affairs, as long as no-one opposed him, he cared little for much else. Eventually a strategy developed by one of the warlords, a warlord named Cao Cao also known as the “Hero of Chaos”, coalition army was established with one of the more influential nobles of China leading it. This would once again throw China into turmoil and war. This would be where many would claim is the penultimate start of the 3 Kingdoms war. China at this time would be stuck in wars until the reunification of China in 280 A.D. during these times the Silkroads/routes would be absolutely invaluable as trade to sustain the many armies would be completely necessary, though as with many trade routes it was never just supplies but ideas and people that would regularly pass through. The new ideas and beliefs introduced to China at this time would quickly rise and new theologies would be adopted and the way of life would change alongside them. The way in which Dong Zhuo disregarded the Confucian way to establish ‘himself’ as the most powerful person in China had completed warped ideas of the citizens who only really knew to dedicate themselves to the state and Emperor to attain a good way of life, after so much war, famine and bloodshed many had abandoned the way of Confucian belief. They dedicated there lives to the state and Emperor before themselves, in a belief that doing so, harmony and peace would reign and life would be better for all, seeing the selfish Dong Zhuo and other lords fighting for their own gains would have given many some perspective and that Confucian belief was not working, as turmoil and war is what reigned with little peace. By this time the silkroads/routes had been opened a while and some religious scripts from Buddhist monks had already circulated well around China, though before, these scripts were largely only studied and owned by the landlords and gentry, that being the case many monks would establish temples and some of the gentry would request and support the erection of these temples by granting permissions and financially supporting the builds of them. These temples gained a very large following during the “Three Kingdoms era” as many had abandoned the idea of supporting the state and Emperor, and focused much more on self well-being and preservation. Of course Buddhism during this time was still relatively small, as there was also an increase in a Taoist/Daoism belief, though both were based largely on self preservation and betterment of self the two defining differences was that Taoism/Daoism focused largely on man becoming one with nature and maintaining the balance between Yin and Yang, controlling the balance between Yin and Yang would allow one to remain healthy and increase the longevity of ones life. The balance between Yin and Yang is ever flowing and ever changing, they are opposites but they can not exist without one or the other, a kind of oneness, in the fact that they are opposite does not mean that they can exist without one or the other. In another way to explain it, light cannot exist without dark, though they are opposites if there is no darkness, there is no light and vice versa, the same rule can be applied to hot and cold. In Taoism/Daoism it is believed that all things have within them Yin and Yang and by maintaining the balance between the two, the chaos that is caused by any imbalance has an effect on the vessel, if there is for example to much Yin (negative) the vessel becomes unwell but of course if there is to much Yang (positive) it can affect the mental well being of the vessel. Many of the Chinese martial arts incorporate the idea of Taoism/Daoism, and many have claimed that the art of Tai-Chi improves ones wellness. 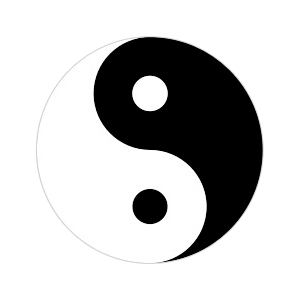 Taoism also focuses on dietary and sexual practices that help to balance out the ever-flowing sometimes chaotic un-harmony of the Yin and Yang. As with Buddhism there were many gentry who supported the ideal of Taoism/Daoism and had commissioned temples in reverence of the philosophy, many Chinese medicines were and still are based on the Yin and Yang principles. The change from a Confucian belief to a Taoist/Daoist one was not an uncontested one, as during the same time Buddhism had also gained a large following, both these ideals had to fill the enormous gap left by centuries of Confucian belief that had fallen so far from it’s epitome as a State religion. Taoism/Daoism had been established before the Han Empire but never was accepted as more than a cult. Though most believe that Lao Tzu is the founder, his writings show that the Taoist/Daoist belief pre-dates him and some believe that it has been around since 2700 B.C. during the reign of the Yellow Emperor. The Taoist/Daoist support had grown immensely during the Three Kingdoms era with the establishments of many schools that focused on the Lao Tzu and the Zhuangzi, one philosopher in particular, Wang Bi was a driving force in the spread of Taoism/Daoism and had written numerous commentaries on the works of the two. As the spread of Taoism/Daoism had increased so did scientific studies and after the Three Kingdoms and onto the Six Dynasties era Taoism/Daoism had began to become evermore popular and a much more active in its spread. A well known philosopher/Alchemist known as Ge Hong was a huge influence in Taoist/Daoist belief in which some major scriptures were written, two of which were the Shangqing (Supreme Clarity) and the Lingbao (Sacred Treasure). These two scriptures are some of the most important scriptures of the Taoist/Daoist philosophy. This was the major growth of Taoism/Daoism which continued to grow as time progressed its growth was slowed in the 7th century, during the Tang Dynasty as the other prevalent religions of Buddhism, and returning Confucian beliefs had powerful backers, with the biggest being the Tang Emperor who was a Buddhist. In the 10th century until its fall from power in the 13th century, the Song Dynasty had many Taoist/Daoist Emperors in particular Huizong who had the Daozong published and erected the Quanzhen school of Taoism. After the Song Dynasty, growth with the Taoist/Daoist philosophy stops and eventually almost destroyed completely by the acts of the following Yuan Dynasty who gathered many Taoist/Daoist documents and burned them and for nearly 100 years was suppressed with a short revival in the following Dynasty’s rule in which the Emperor Zhu Di had commanded all Taoist/Daoist texts be combined into a new version of the Daozong. In the following eras Taoism was largely condemned and during the Qing Dynasty, Nationalist Period (Chinese Civil war) and the cultural revolution it was seen as illegal or detrimental to the country. Buddhism by its nature is an all encompassing philosophy and because of this very nature Buddhism did not have to much trouble in integrating into Chinese society. Buddhism was brought into China via the Silkroad from North India down the Greater Yuezhi river. The two major types of Buddhism is that of the Greater wheel/vehicle (Mahayana) and the Smaller Wheel/vehicle (Hinayana). The difference between the Hinayana and the Mahayana is that the Hinayana believe that the Buddha was a human who had attained enlightenment (nirvana), whereas the Mahayana believe that the Buddha was a god who came down to earth to help [people across the sea of life. The Hinayana also do not believe in the supernatural or that of a god and was the most practiced type of Buddhism in China. As the larger Buddhism that was practiced in China this will be the one that I will write about in the rise of Buddhism in China. Buddhism in China was established during the Han Empire with the essential trade routes being opened and accessible, that is not to say it was not practiced before the Han just that it became an effectively “established” philosophy with little following. The collapse of Confucian belief had a huge impact on China’s people, where Taoism/Daoism was already well established and accepted before this, Buddhism was a very different philosophy which ran almost completely opposite to the idea of the state religion. Early Buddhism was actually seen as harmful to the established state. Buddhist beliefs were solely on oneself but due to it’s comparative idea of meditative state it was accepted with reluctance by the general public. Though by the peasant standards it was blasphemous and dangerous, to the educated and elite Buddhism was intellectually seen as an alternative Confucian or Taoist/Daoist practice as it enhanced inner wisdom. After the fall of the Han and the beginning of the Three Kingdoms era, with the establishment of temples dedicated to Buddhist belief funded by practicing warlords and land owners Buddhism gained a much larger following, though it did not gain as much as Taoism/Daoism during this time it was established as a religion and had a steady following. Between 220 A.D. and 600 A.D. many of the lords during the Six Dynasties era were now following Buddhist beliefs and had started erecting more temples and Buddhist schools even though the larger ruling Dynasty, the Tang Dynasty was a Taoist/Daoist Empire it showed great tolerance and acceptance to the Buddhist growth. The end of the Song Dynasty saw the establishment of the Mongol Yuan Dynasty, the Yuan Dynasty had made Esoteric Buddhism the state religion and the courts paid patronage to the Tibetan Lamas, this patronage was believed to lead to widespread and corrupt forms of Tantra. The Yuan Dynasty reign had lead to an extreme, though questionably corrupt spread of Buddhism empowered by the Empire. Buddhism in China continued to grow and evolve into what it is today and though there was only one more incident that endangered the Buddhist faith, that being the Taiping Rebellion, in which many Buddhist monks were butchered by the Taiping armies in 1853 Buddhism in China had became and still is the dominant faith of China. China’s history is very rich and one of the oldest there is, China has seen everything from wars (civil and world), rise and fall of some of the greatest empires in recorded history, cultural and religious developments and the evolution of science but it has also somehow been able to, mostly, avoid becoming intricately involved with other countries be it their wars and expansions, developments and research or their disasters and catastrophes, largely because it has only been interested in its own preservation. This in itself can allow us to study and observe China, as itself, we can study how it developed and evolved and become observers of a little world within our larger world. Though as China has been largely outside of the world issues we can appreciate and study China as a field in and of itself with very little outside influences, this is also what makes the growth and establishment of Buddhism in China so fascinating and interesting. China has for most of its existence created its own philosophies and theories, medicines and, of course it’s own styles of warfare and martial prowess. Does the acceptance and growth of Buddhism show us an attempt at China trying to become a part of the larger world or does it show us just how encompassing the power of Buddhism is? What is apparent is that the growth of Buddhism in China is an anomaly in which China, that is normally outside of the world in which it exists has been influenced and accepted something not native to it’s land. The spread of Buddhism in China through the ages was and is remarkable, where other influences have failed Buddhism has succeeded. China had to go through many wars, many different Emperors and Dynasty’s to become what it is today and possibly only endured due to the change of mindset in which the Emperor and state was to be put before yourself, to, self betterment and preservation of oneself, ironic in that the way in which China has existed outside of the world in which it exists due to only being interested in its own preservation, is also the way its people have endured the constant struggling and wars by existing for oneself instead of for the country it is a part of. This of course is up for debate and ones own perception but nonetheless China is interesting and hopefully as you have found out so has it’s development into a Buddhist country. I’m sorry to see the end of Groovy Historian. Excellent article, very interesting and informative. In regards to your conclusion part 2, is groovyhistorian.com really ending? I saw the page disappear on twitter but I didn’t see anything anywhere else about the page closing down for good. In regards to the question, unfortunately, yes Groovy is no longer active. That being said he wishes to keep the site up at least for a while, but overall it is the end. I have tried to encourage him to continue for the past 6 or so months, but I have failed. I am sorry. Thank you VERY much for your support it has been a pleasure and hopefully it has been an informative and fun journey.